Although lathering lotion onto your face sometimes feels like the last thing you want to do when enduring a severe facial breakout, keeping one’s skin hydrated is considered one of the best ways to avoid further irritations and breakouts in the future. Moisturizing is especially crucial for skin in the facial and neck areas as these regions are the most sensitive to environmental changes, and shed skin more rapidly than other parts of the body. This constant natural rejuvenation and replacement of the skin can be supported by adequate moisturization, which is known to prevent a number of cosmetic and blemish-causing issues. Most people are aware that moisturizing the skin can reduce the chances of developing extreme dryness that can cause irritations and breakouts. However, many people are unaware that moisturizing the facial skin also balances the PH levels of your face, thus also reducing the chances of developing extreme oiliness that is also known to cause breakouts. 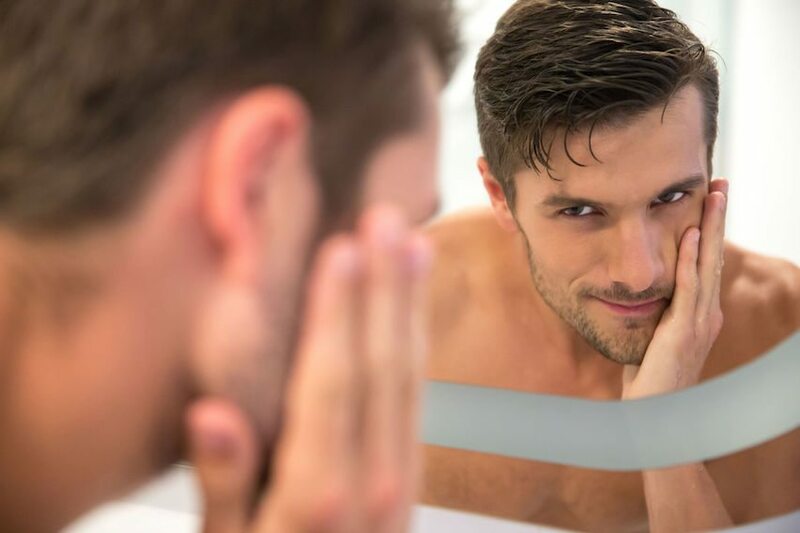 Many individuals who suffer from oily skin are afraid that applying a regular facial moisturizer will further exacerbate this condition, thus skipping this vital routine that could actually help prevent future outbreaks and reduce oiliness levels. Always wash off makeup, sunscreen, or any other unnecessary layers of substance you might apply to your facial skin when the day is over. Other than a gentle facial moisturizer designed for acne prone skin, it is generally not a good idea to allow makeup or sunscreen to stay on your face without letting your skin breathe. It is important to look for moisturizing products that will not clog or aggravate the pores when searching for a solution for acne-prone skin. Although it may sound counter-intuitive, many moisturizers contain traces of alcohol that helps the substance to evaporate, leaving a small layer on the skin. These types of products should be avoided because alcohol is known to leech the facial skin of natural oils, resulting in an overproduction of oil that will further irritate the skin. Other common ingredients that should generally be avoided include mineral oil, petroleum, or silicone that are known to clog the pores, thus not allowing the skin to breathe. Taking all the above factors into account, here are the top 20 facial moisturizers for acne-prone skin. 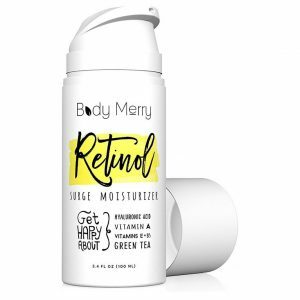 Body Merry offers an all-in-one anti-aging and acne-fighting moisturizing solution which includes two of the desired ingredients mentioned above. This solution contains both retinol and hyaluronic acid, both known for their moisturizing effects while still allowing acne-prone skin to breathe. This moisturizer also contains green tea extract, known to reduce sebum production and help relieve the skin of oiliness and prevent clogged pores. This luxurious facial cream contains 7.5% benzoyl peroxide, a common acne-fighting substance found in many acne-fighting creams. 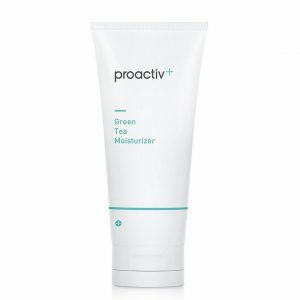 However, what makes this moisturizer unique is that it also contains witch hazel, tea tree oil, and other essential nutrients to help balance out the skin’s PH levels and prevent it from drying out. It is approved for all skin types, including fussy combination skin. Similar to the Body Merry moisturizer mentioned above, this cream contains retinol and hyaluronic acid, both of which are sought out for their anti-aging, anti-acne skin benefits. 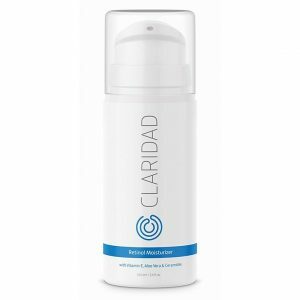 However, Claridad also included aloe vera and jojoba oil in this moisturizer to help relieve the skin of scars and dark spots that might have been previously caused by severe acne. Ideal for healing the skin, preventing future breakouts, and moisturizing. 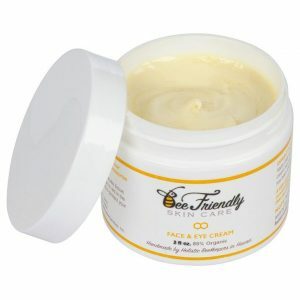 This face and eye cream contains many of the moisturizing and breathable ingredients mentioned in the products above, however BeeFriendly offers a unique ingredient to this facial lotion: organic Raw Honey. Did you know that honey is an antibiotic that hydrates your skin, stimulates new cell growth, and fights off acne-causing bacteria? Perfect for combination, sensitive, oily, and normal skin types. Ideal for everyday use. This age-defying solution is ideal for both day and night use, with a balance of retinol and hyaluronic acid that helps reduce fine lines and wrinkles while simultaneously fending off the buildup of sebum. 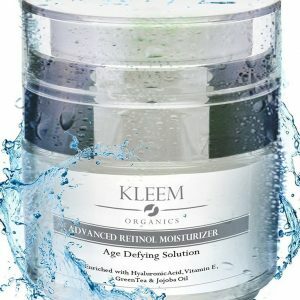 Kleem also mixes in green tea extract and jojoba oil that are known to reduce inflammation when new breakouts appear. This premium cream combines a luxurious assortment of natural antioxidants with 1% Vitamin A to help prevent the formation of fine lines, acne scarring, and premature aging, while simultaneously hydrating and preventing the skin from future breakouts. 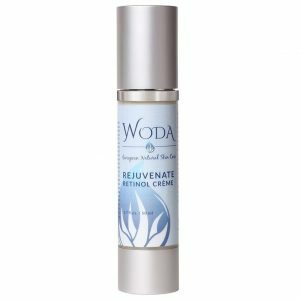 WODA offers a fully natural and organic assortment of products, all of which are cruelty-free and extremely gentle on the skin. 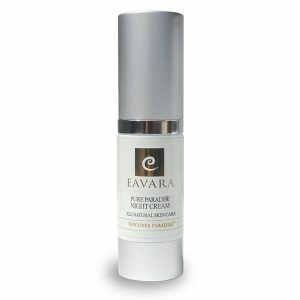 Ideal for sun-damaged skin, preventative skin care, and blemish/fine line reduction. 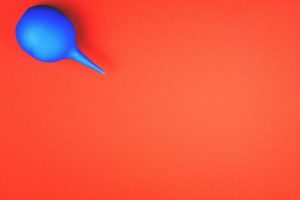 Proactive has built a name in the acne and skin-care realm as one of the most trusted and familiar brands in the industry. While they offer a solid line of cleansers and spot treatments, their green tea moisturizer is actually one of their more gentle, but effective options. 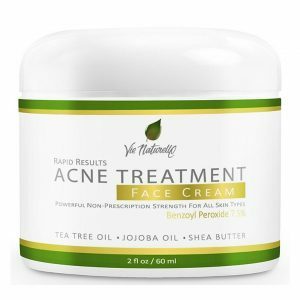 Along with many healing and moisturizing properties, the green tea extract contained in this solution delivers powerful antioxidant benefits to the delicate facial skin, helping to nourish oily and acne-prone skin while simultaneously balancing PH levels. 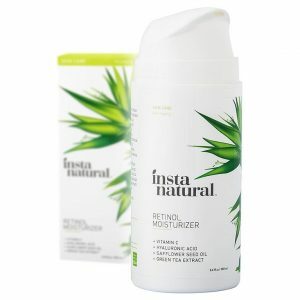 InstaNatural offers a product with ALL of that good stuff we’ve covered above, including our favorite hyaluronic acid, retinol, and green tea extract. However, in addition to these moisturizing ingredients, this cream also contains vitamin A and vitamin C, both sought out for their anti-aging and healing benefits. An ideal solution for acne-prone skin that also requires healing from sun damage. Did you know that probiotics not only benefit your digestive health, but they also offer clear-skin benefits? 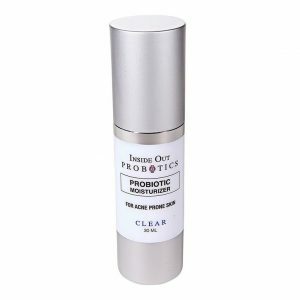 This solution acts as an anti-inflammatory by providing a unique balance of probiotics, marine algae, and other botanicals that help reduce sun spots, correct acne scars, and reduce hyperpigmentation. You can’t go wrong with this gentle combination of Wildcrafted Green Tea, hyaluronic acid, organic jojoba oil, and shea butter. 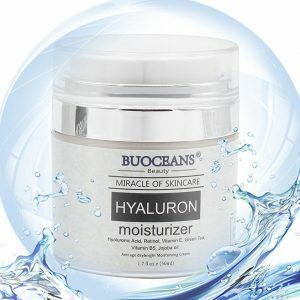 BUOCEANS has created a facial cream perfectly designed for sensitive or combination skin types, helping to fight future acne breakouts while also moisturizing and providing deep-hydration. This certified organic moisturizer contains levels of retinol and hyaluronic acid that are perfect for their anti-aging and wrinkle-reducing benefits. However, what makes this cream unique is hemp oil that acts as a powerful natural antioxidant and anti-inflammatory, while also allowing the skin to breathe while being hydrated. Although Eavara markets this product as a night cream for women, it is actually ideal for all sensitive and delicate skin types, men included. 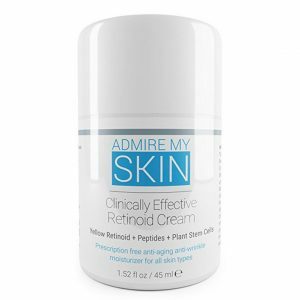 Admire My Skin offers a powerful retinoid moisturizer and facial cream that acts as a potent acne treatment. It is one of the most powerful RETIN A moisturizing solutions available without a prescription, while also providing peptides and plant stem cells that help regrow and invigorate the skin. It is recommended for nightly usage, and over time the high concentration of retinol helps the skin to become stronger and less prone to breakouts, while controlling and reducing oiliness and the production of sebum. What better way to treat your skin than with deep-hydrating oxygen-infused gel? 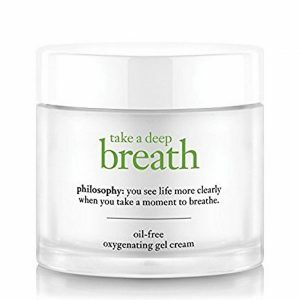 This moisturizer works to detoxify skin, support skin breathability and respiration, and deliver an enriching blend of antioxidants to the skin to help prevent future blemishes. iS offers an ultra-premium solution for those seeking a solution that will actively repair damaged skin while moisturizing and preventing future breakouts. 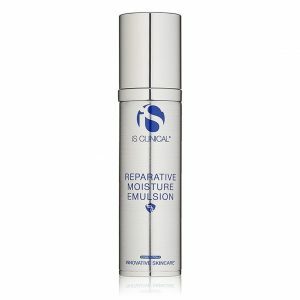 Recommended by celebrity groomer Florido Basallo (who has clients such as Justin Bieber and Demi Moore’s), this solution is a highly-effective botanical emulsion that contains powerful antioxidants, peptides, and other ingredients known for their deep-hydration benefits.